Risks for heart disease include obesity, high blood pressure, high cholesterol, and diabetes. Preventing or managing these conditions can improve heart health and reduce your risk of developing heart disease. 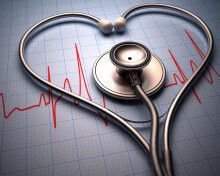 Heart disease remains the number one killer of both men and women, ahead of cancer, diabetes, and accidents. 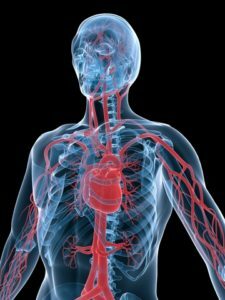 In people with heart disease, blood vessels become narrowed or blocked, reducing blood flow to the heart and brain, and increasing the risk for heart attack and stroke. 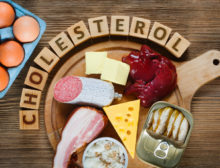 You may not realize you’re at risk for high blood pressure and heart disease, because high blood pressure symptoms usually don’t emerge until blood pressure has already reached a dangerous level. That’s why this disease is often termed a “silent killer.” At the dangerous stage, high blood pressure symptoms can include shortness of breath, nosebleeds, and severe headache. Having high blood pressure over time forces the heart to work harder. Eventually, the heart begins to grow—a condition known as enlarged heart. If an enlarged heart isn’t treated with medicine, devices, or surgery, it can lead to complications such as heart failure. Some people with an enlarged heart develop a heart murmur—a whooshing or swishing sound caused by abnormal blood flow through the heart. 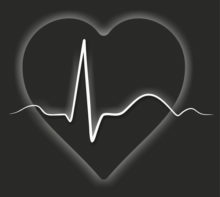 A heart murmur isn’t necessarily dangerous, but doctors do monitor it because it can be a sign of an underlying heart condition. In heart disease, a sticky substance called plaque builds up in the arteries. When an area of plaque breaks off and becomes lodged in a blood vessel supplying the heart, it can block blood flow and cause part of the heart muscle to die. This is a heart attack. Heart attack symptoms include chest pain; discomfort in the arms, back, shoulders, and neck; shortness of breath; and nausea. Poor blood flow to the heart can produce chest pain called angina. Although angina is not a heart attack, it is a sign of heart disease and can warn of a future heart attack. Other angina symptoms include discomfort in the shoulders, arms, neck, jaw, and back.